The two conceptual proposals show how each version (contiguous concept or non contiguous concept) could be staged in phases. The presentation boards also have elevation drawings, to help you visualize the possibilities being described. Additionally our FPTF team has taken care to define the primary logistical challenges of each phase of the plan, and to describe the advantages and disadvantages of both concepts. You will be asked to decide which of the two conceptual plans is your preference and to give us a sense of your reasoning for that preference. We have scheduled several discussion meetings. These focused groups will provide a chance to dive-in to more detail on the implications for UUFD operations during construction, and discuss which conceptual plan best fits our needs. This will be an opportunity to voice your concerns or questions more fully, and help us identify issues as we find our collective way to a sound decision. Tom Umbhau of Bauen Group Architects (who developed these conceptual plans) will be on hand at the April 28th gathering. The feedback from these gatherings will be compiled with information from the congregation gathered at the less formal Sunday coffee hours. We want and need to hear from you! Please check your calendar for the date that works best for you, and come see us at the display tables in Bowman Hall to sign up. Talk to us or use the e-form below to ask a question or leave a comment. Use to share information and ideas related to facility planning. Make sure you click the Submit button when finished. Together we work to shape our future. With the feedback we received from the congregation, the Facilities Planning Task Force (FPTF) has been working with Tom Umbhau of Bauen Group Architects to incorporate your suggestions and ideas, further developing the long range conceptual plans that describe the two possibilities for expanding our campus. We will have the revised plans posted on display boards in Bowman Hall for your review by the end of March. These two conceptual proposals will also include approximate cost estimates and describe the possible expansion phases. During this next iteration, you will have the opportunity to identify which plan is your preference (contiguous or non contiguous) and to explain your reasoning for that preference. All members and friends interested will be also be given the option to engage at length in one of several discussion circles (similar to the discussion groups that formed when we considered calling a minister). These focused groups will provide a chance to dive in to more detail on the logistical challenges of each plan and the implications for UUFD operations during construction. These interactions will also provide ample opportunity to flesh out your concerns or questions more fully, and identify issues. Once we have chosen which of the two plans best meets the needs we have identified, we will initiate a program to determine if this expansion is the best way to expand our ability to deliver on our mission, and if so, to evaluate the strength of our motivation to build out the campus. As a reminder, Goal 3 of our Strategic Plan is to have space and facility that would support UUFD growth to 250-300 members. After compiling the feedback from these meetings, the FPTF will meet with Board of Trustees to present their recommended approach, based on their compilation of all previous feedback from the congregation. **A special gratitude note goes out to John Redemske who has re-joined the FPTF since Trenton Wann and Barbara Hawn are away; John really stepped up and has been a huge help, along with Mary Hockett and Tom Miller (BOT Rep.) who round out our crew. Click here for the “contiguous” plan, in which all facilities are attached to each other. Click here for the “non-contiguous” plan, in which facilities are separated by walkways. How does each plan solve / not solve your issues relating to expansion? The Task Force is available on Sundays at coffee time to answer your questions and provide more detailed explanations and background information. Our interactions with The Bauen Group Architecture officially began in January of 2018. Working with the Long-Range Facility Planning Task Force, the architect helped establish a structured process to explore our collective needs. Various constituent groups met with architect Tom Umbhau, including the Minister, Board, Sanctuary, Administration, Faith Formation, and general members. These interactive sessions gathered various “dreams, wishes, desires and needs” for decision-making. Sessions were open for anyone and the results from the feedback we received drove the process going forward. We are grateful there was such a high level of engaged involvement; thank you all for your participation so far! The Facility Planning Task Force would like to thank everyone that responded to the initial questionnaire we posted (either individually or through a committee). In all we received 47 distinct submissions, and with those that responded as part of a group, we estimate that (in total) approximately 80 members and friends of the Fellowship spoke up about the hopes and dreams we share. Feedback is STILL welcome, if you have any additional comments or suggestions please submit them using the form above. The initial questionnaire responses have been shared with architect Tom Umbhau of Bauen Group, who will engage with the entire congregation again on May 9th at 6:00pm when he presents the first round of conceptual diagrams. Congregants and constituent groups will have an opportunity for another round of inter-active dialogue with the architect, in late May. 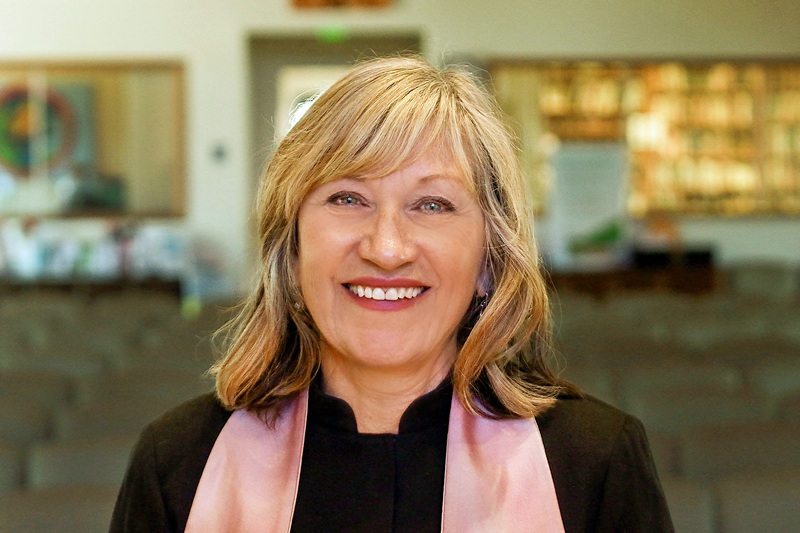 Alice Mann is best known for her book Raising the Roof which describes the stages of growth that congregations experience. 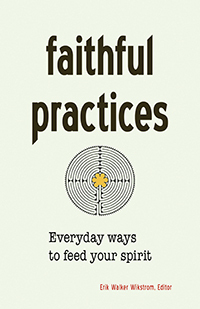 We match her description of a “…congregation that is experiencing some pressure from [our] community [and cultural] context to grow.” Mary Ocken gave a pulpit-talk on April 8th, providing a overview of this helpful book and highlighting some of the insights within. You can find a link to the sermon HERE». As we are called to expand our walls, Mann invites us to consider that “It may be right for us to step up to another scale of ministry, for the sake of our Purpose or Mission.” This is a great reminder that our intentions and our facilities are the vessels that support our living faith and help us to bring our mission to life. If you have questions about the process or further comments, you are welcome to offer your input. To continue the dialogue, ask a question or respond to the process thus far, come to a constituent group meeting and/or fill in the form below and click the Submit button or contact any member of the Facilities Planning Task Force. As we explore our growth options, our job now is to seek more information, further identify our Fellowship needs, and chart how we might meet the changing needs of our seams-bursting campus. This exploration will focus primarily on where we likely need to expand to meet growth demands 5-20 years from now; and may be actualized in a “phased-in” manner. THE GOAL. For this long-range work more specifically, we are trying to better describe two possible options: ONE concept is a dispersed campus, using existing buildings, or expanding the ones we have with stronger connectedness. The SECOND concept is of a consolidated facility which unites all campus functions.